If English isn’t your first language you may find a lot of our collection a bit daunting. With that in mind, we’ve set up a new section of Graded Readers as part of our Leisure Reading initiative to enable English language learners to enjoy reading whatever their language level. These Readers include specially adapted versions of literary classics by, among others, Jane Austen and Charles Dickens, as well as many original and non-fiction works. They’ve been carefully designed by top English language specialists to introduce English learners to the delights of the English language and literature and are individually graded and tailored to specific levels of learning. Some of them are also accompanied by audio CD’s to help enhance a student’s understanding and fluency. They’ve all been specially tagged on Library Catalogue Plus under ‘Graded Readers’. Why not have a browse today? 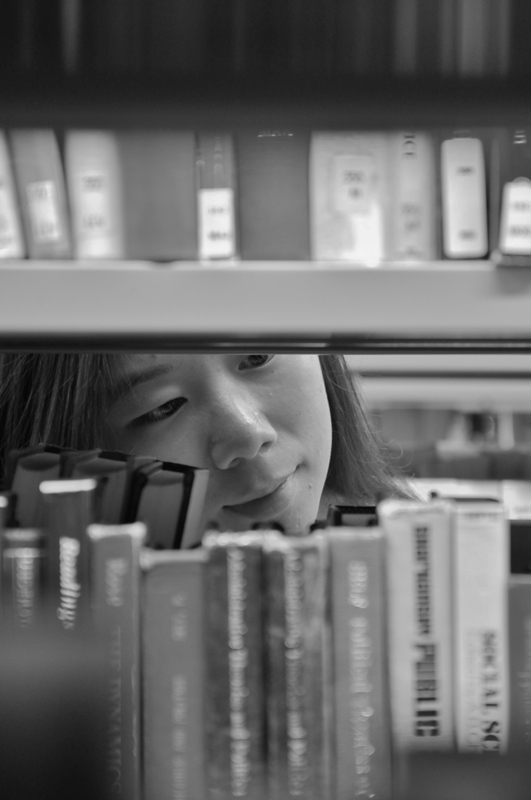 Image by Cassie Wang, an entry into our 2012 Photography Competition. This entry was posted in Graded Readers, Language, Leisure Reading, Library, Literature, Print resources by Steven Lake. Bookmark the permalink.